Next, we briefly discuss three challenges facing local government involvement in CVE including, (1) sustaining funding streams, (2) the emergent and evolving nature of CVE research, and (3) issues of privacy, clients’ confidentiality, the protection of civil rights, and protecting CVE service providers against liability. As we discuss these challenges, we also offer promising ways to move forward. If the experiences from the United Kingdom suggest anything, it is that government-led efforts are likely to be counter-productive, as well as unpopular. Research has suggested that prevention and intervention are more effective when applied by individuals and civil society/community based organizations (CBOs) that have existing relational trust. While this is the primary strength of CBOs, they also tend to be fragmented and face information gaps. Despite advocating for similar or overlapping communities, individuals working within CBOs often do not communicate and coordinate with each other. Sometimes this has to do with organizational competition, but often it is a matter of individuals simply not knowing one another. Part of convening resources involves facilitating interaction and dialogue among different CBOs. Having local governments understand the need to facilitate a process by which CBOs are supported and strengthened is integral to enabling an effective “community-led” approach. Local government municipalities are well positioned to elicit a common vision, consolidate partners in an accessible network, and increase access to funding and resources. For example, the City of Los Angeles has a dedicated director that convenes partners and promotes a regional strategy to coordinate government resources (i.e., mental health services) and CBO resources. These partnerships help develop a network of service providers in the CVE space, which in turn further enables CBOs to share knowledge, expertise, best practices, and resources. Getting actors around the same table to communicate with each other and agree upon a common vision is necessary to the success of any local CVE effort. However it is insufficient by itself. Local CBOs need to be individually elevated in terms of capabilities, funding, and policy structures to take the lead on implementing CVE programs. As noted earlier, CVE efforts are more likely to be trusted by communities (and therefore more likely to be effective) if led by CBOs. However, many of these local civil society partners lack the resources and capacity to implement CVE-relevant programs. This challenge is exacerbated in large metropolitan areas with diverse racial, religious, and ethnic communities. Despite the significant challenges posed by resource deficits, government actors working in a local context can help provide some creative solutions. Heads of local agencies are often well-positioned to foster relationships between CBOs and individuals in private business, philanthropic, civil society, and public institutions. For example, a U.S. Attorney used his personal networks to convince local businesses and foundations to provide hundreds of thousands of dollars’ worth of grants and donations for CVE programs in his jurisdictions. While the U.S. Attorney is not a local government official per se, his activities are nonetheless locally focused, which may provide an example for others to follow. Similar activities are also being implemented by local municipality agencies in cities such as Los Angeles. Beyond funding, CBOs also need to be empowered through policy structures that connect and embed them into a larger support system that can give troubled individuals emergency assistance. The current body of research suggests there is neither a single pathway, nor a single factor involved in individual’s entry or successful exit from violent extremism. In response to this insight, research on CVE best practices, particularly for prevention and intervention activities, is increasingly pointing toward multidisciplinary approaches. Multidisciplinary approaches to violence prevention, especially in high-risk situations, requires communication and coordination across multiple actors. This means there should be referral mechanisms established not just between social service providers and local CBO CVE implementers, but also referrals and coordination between government agencies such as an agency like the city of Los Angeles’ Department of Mental Health and others. Civil society organizations and the communities they serve often face barriers to accessing social services, including lack of awareness of existing resources and lack of familiarity with referral practices. Here, local government agencies can be particularly helpful by creating policy frameworks to ensure CBOs who refer troubled individuals to social services can get the needed emergency care. At a granular level, local government agencies can facilitate awareness and technical training on referrals to CBOs. More broadly, creating multiple referral pipelines to access service providers increases the likelihood a troubled individual will get the appropriate care in a timely and culturally-competent manner. Both civil society and local government can coordinate and operationalize a referral system within existing structures which leads to increased sustainability and diversified access points to interventions. Applying a multiple referral approach will also allow for better opportunity to identify appropriate connections to multidisciplinary services that can better meet the individual and family needs. Local CVE strategies and operational design may vary depending on a range of variables including geographical and population size, current needs and priorities, structural capacities, intergovernmental coordination, funding and resources, as well as levels of trust and existing relationships with local communities. There is no one strategy or approach that fits all, rather it is one that must be organically developed and uniquely tailored to the grassroots communities as well as the functionality of each local municipality. Thus, the concept of scalability within the design becomes an important consideration for operational implementations. A strategy for a major metropolitan municipality such as Los Angeles or New York will be different and more complex than one that is tailored to a smaller locality. Local government policymakers should not focus on replicating and scaling up different models. Instead they should focus their attention on the methodology behind the innovation and development of a successfully tailored local model. In tandem with our second principle, Provide Structure and Enable Communities, local government policy planners should partner with civil society organizations to create policies that facilitate local solutions. One approach is to use “design thinking,” which is an innovation and problem solving methodology that “combines creative and analytical approaches and requires collaboration across disciplines.” Prior START research has suggested that one of the barriers to community support for CVE is that its intended beneficiaries see it as irrelevant in solving their daily challenges. Design thinking can be an important tool for local governments because one of its strengths is its emphasis on empathy, or understanding how others’ define their needs, how they interpret the world, and what is meaningful to them. This practice lends itself well to incorporating input from a wide range of relevant stakeholders to create buy-in for locally created policies and practices. As we noted at the beginning of this article, there are no evidence-based frameworks specific to CVE to guide particular prevention and intervention activities. As a starting point, researchers and practitioners have proposed drawing from efforts using public health approaches to prevent gang violence and mass shootings. These practices appear to hold significant promise when applied in a CVE context. However promising is not the same as proven. Therefore, the monitoring and evaluation of programs in terms of both process and impact is necessary to advance the science and practice of a community-led public health approach to CVE. Civil society and community organizations leading their own efforts may be hesitant to have a connection with law enforcement actors for fear of losing credibility with their communities. One potential way to overcome civil society/community concerns while addressing the need for monitoring and evaluation of programs is to follow a model similar to a “Government-University-Industry” (GUI) public-private partnership that has been used to facilitate dialogue and advance the practice of cyber security. A Local Government-University-Community/Civil Society “LGUC” relationship could be formed. Like a GUI, a LGUC would use a university or some other respected academic institution as a trusted third-party that can mediate a relationship between government and non-governmental actors. As an independent third party, the university would receive public funds to conduct monitoring and evaluations of civil society-led CVE programs. For their part, third party evaluators can leverage, and modify where appropriate, existing evaluation frameworks, such as the CDC’s framework for assessing the effectiveness of public health programs. The results of the monitoring and evaluation must be made publicly available to build an evidence base that can directly inform future innovation and scalability of CVE efforts by community/civil society practitioners. Similarly it can inform local government policies to support local CBO practices, including improving emergency referral services and appropriately calibrating the role(s) of law enforcement as partners with local communities. Moving forward, there are at least three challenges facing local government actors interested in facilitating community-led prevention and intervention programs. The first issue is funding. At the federal level, the Department of Homeland Security’s Office of Community Partnerships has offered an initial seed pot of $10 million dollars. While this amount is enough to jump start multiple initiatives, it is not intended to, or capable of, funding CVE efforts nationally or sustaining them into the future. Consistent with the first principle, local governments may need to use their convening power to identify alternative sources of funding for CBO partners, including private businesses, foundations, and others. The second challenge has to do with the emergent nature of understanding prevention and intervention strategies for ideologically motivated violence in the social domain. To reiterate, with some notable exceptions, most emerging CVE policies and practices are often developed by law enforcement and modified from promising violence prevention models applied in other contexts—such as gangs and mass school shootings. However, in a community-led CVE-specific context, while they are promising, they are not yet proven and continue to be challenged with a limiting law enforcement-centric approach to violence prevention. Therefore, consistent with the second and fourth principles, local governments will need to make a long-term investment in developing familiarity with referral practices and expanding service provision capabilities of CBOs, facilitated by the appropriate local government policy structures, such as memoranda of understanding. Monitoring and evaluation of local CVE projects can establish proofs of concept with the understanding that some initiatives may fail to achieve their desired outcomes. The third challenge is a very specific kind of policy challenge that has to do with the “division of labor” between law enforcement and CBO actors. Several years ago, one of the authors (Beutel) wrote a policy paper arguing for public-private partnerships to combat violent extremism that are informed by a constitutionally informed division of labor: law enforcement focuses on criminal activities while CBOs focus their efforts in the social domain—the psycho-social, ideological, political, and other factors associated with an individual’s entry into violence. In theory, this is a necessary starting point, but in practice there are grey areas and lines of division that may not be as clear cut. This is specifically relevant to individuals who have not committed a crime but are exhibiting certain behaviors that indicate a trajectory towards mobilization to violence. This poses a dilemma for CBOs as well as law enforcement. CBOs are faced with issues of privacy, clients’ confidentiality, and protection of civil rights. They also are confronted with the conundrum of liability. For CBO actors this liability can have legal implications – for example, if a CBO engages in a “crisis counseling”-type intervention with a troubled individual, to what extent does the CBO have to engage law enforcement while maintaining the privacy and confidentiality of their client? If an intervention fails to prevent an act of violence, what legal protections does the CBO have from allegations of complicity? Law enforcement seeks to avoid the liability of legal infringement on individuals’ privacy, civil rights, and civil liberties, as well as the social costs those potential violations come with (e.g. loss of community trust). Avoiding these hazards requires law enforcement to mainly confine themselves to stopping criminal activities. This is where the notion of “division of labor” moves from the realm of theory into practice by directly delineating the roles and responsibilities of the multiple government and non-governmental actors engaged in CVE activities, including law enforcement. Such roles and responsibilities are also governed by a range of laws including HIPAA (Health Insurance Portability and Accountability Act of 1996). There are no easy answers to these dilemmas. Many locales, in consultation with CBOs and local government agencies (as well as regional U.S. Attorney Offices) will ultimately come to their locally-tailored own solutions. However one thing is clear, doing nothing is not an option and local governments have important roles they can play in advancing prevention and intervention practices in the social domain. As a starting point we have articulated these field principles, which we hope others will use, test, and modify over time. Moving forward will require that we continue to critically rethink and retool the role of local government in expanding the operational space for civil society so that they are effectively leading prevention and intervention programming. Joumana Silyan-Saba currently serves in the Los Angeles Mayor’s Office of Public Safety. In this capacity, Ms. Silyan-Saba is the Director of the CVE intervention and prevention strategy design and implementation. 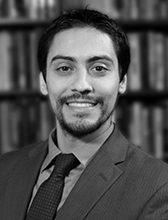 Alejandro J. Beutel is a Researcher for Countering Violent Extremism at the National Consortium for the Study of Terrorism and Responses to Terrorism (START). This can raise another problem, as law enforcement organizations have frequently been the first-adopters of CVE in the local government setting. However, experience has shown that funding from non-law enforcement entities, like municipal government and social service agencies appear to be the most relevant to CVE activities. Presentation at a roundtable discussion on CVE policy at the Washington Institute for Near East Policy, July 2016.